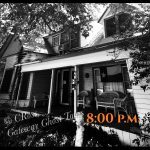 The Great Hanging Ghost Tour in Gainesville, TX is another bone chilling, heart pounding treat for your ghosting pleasure! 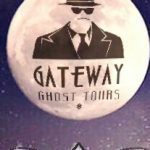 This is a triple deal tour where you will get to experience not only the site of the Great Hangings but also the Old Train Depot and Historic Turner Hotel. You will be treated to an investigation of the site where one of the largest mass hangings in the U.S. history took place in 1862. 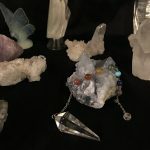 You also have the benefit of not one but two very accomplished psychic mediums who will help you see beyond the grave. 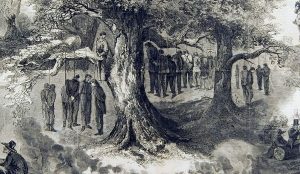 You can expect to be put in contact with those who lost their lives at the hanging tree. 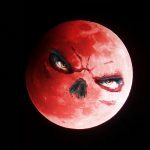 Lisa Lang and Cindy Ross will give voice to the dead so they may speak their peace and free their souls from this dark place. 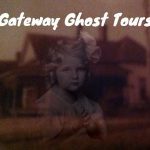 The 2nd half of the tour will explore the haunted Train Depot and historic Turner Hotel. This is the psychic’s ghost tour where the dead speak and the living listen! 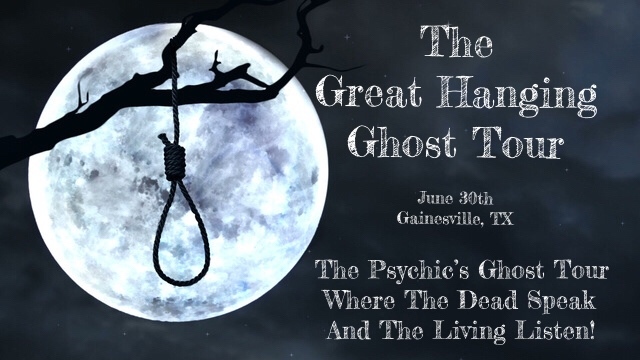 If you so dare to join in the creepy side of haunted and don’t mind hearing from the dead then sign up now for this is sure to be sold out fast! Meet you in Gainesville, Tx. only about a 55 minute drive from DFW area. For More Info: Contact Us!